Between February 18-20 the best track cyclists on the planet head to the Manchester Velodrome for the final round of the 2010-11 UCI Track World Cup Classics series. The battle for 2012 Olympic qualification points will be fierce at the three-day event that decides which nations claim the overall World Cup crowns. The programme of sprints and endurance races mirrors the events you will see in the Olympics and is the last piece of international competition before March’s World championships in Holland. The British team heading to Manchester is one of the strongest teams ever assembled. Rebecca Romero misses out due to a minor injury but six Olympic champions are included in the team. They will be looking to top the 10 gold medals they won at the same venue in 2009. The event sees the return of Olympic team pursuit champions Bradley Wiggins and Geraint Thomas. The last time the duo rode together they set the world record and won Olympic gold in Beijing. The sprinters are at full strength. Triple Olympic champion Sir Chris Hoy and Victoria Pendleton are both competing in the team sprint as well as the individual sprint. Ben Swift and Lizzie Armitstead will compete in the omnium whilst Paralympic gold medalist Sarah Storey and BMX world champion Shanaze Reade will also be competing in Manchester. The Event starts on Friday. Men’s Sprint, Men’s Omnium, Women’s Team Pursuit, Men’s Individual pursuit, Women’s Team Sprint. 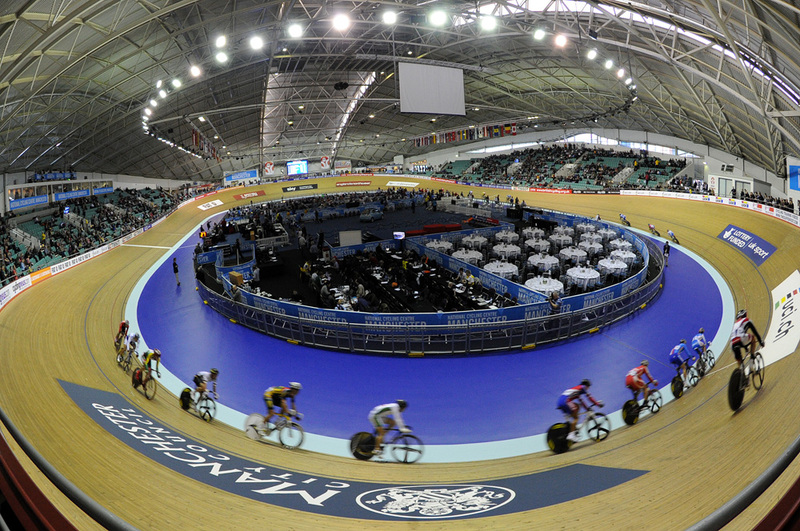 Women’s Sprint, Women’s Omnium, Men’s Omnium (concluded from day one), Men’s Keirin, Woman’s scratch race. Women’s Omnium (concluded from day two), Women’s Keirin, Men’s Team pursuit, Men’s Team Sprint, Men’s JKA Keirin. The World Cup event in Manchester will be shown on the BBC as below. Times may be subject to change. Day one, Friday (February 18) 19.00-23.00; Live coverage on BBC red button. Day two, Saturday (February 19) 19.00-23.00; Live coverage available on BBC red button (also available on Freeview from 21.20-23.00). Click on a name to jump to a rider profile of that rider.